If we wish to walk with God, we must get beyond good intentions. 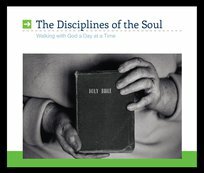 This series of messages explains practical steps on how to live from within, developing a growing relationship with God. Each message helps us learn how to pay attention to the most important part of us - our souls, which are the essence of life. Here are the basics that we all can apply today.